*Prime Bathurst/Glencairn! *Alexandra Wood Area! *Old World Charm Combined With Modern Touches! *Outstanding 4+1Br 4Bth Executive Residence Nestled On A Spectacular 50X135' Lot W/Panoramic Views Of Country In The City! *Just Renovated Kit+Bkr! *Fab Flow For Entertaining! *Loads Of Storage Space! *Tandem 2 Car Garage! 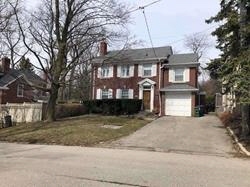 *Mins To Ttc,Subway,Shops,Schools,Synagogues,Park+All Amenities! *Don't Miss This Seldom Available Opportunity!